He's bright, he's talkative, he is only 22. At an age where others his age are worrying and planning about their future, this boy is making sure that girls and women have access to safe and hygienic period every month. How? Sobhan has managed to strike a deal with a wholesale supplier of sanitary napkins who gives him the napkins at Rs. 3.20 per piece. He buys them in bulk. 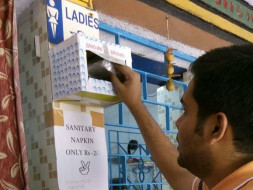 Then he distributes them to 30 public toilets in Kolkata every week. Yes, every week. In these public toilets, the napkins are available for Rs. 2 a piece. The money comes from his own pocket right now - a part coming from the sale of a newsletter he runs. 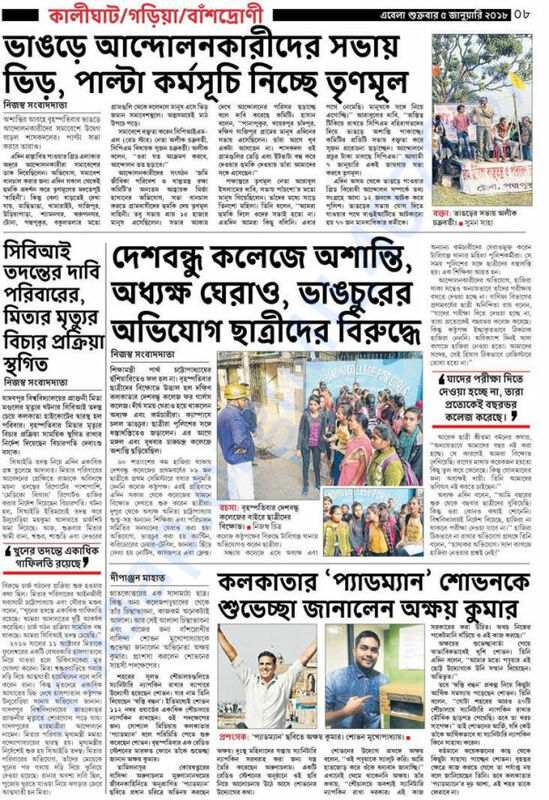 Of a time when he has access to all slums and villages where he can go and make girls and women aware of the importance of having a safe and hygienic period. Of a time when every woman will be able to access a napkin without having to worry about the expenditure. It's time for us to fulfill this dream. To make sure he can sustain "Bandhan." That he is not alone. With the funds raised through this fundraiser, Sobhan will be able to buy at least another 590 sanitary napkins and provide them in Sulabh toilets and to underprivileged women at a much-reduced cost. Kindly keep sharing and supporting the campaign. We're extending the campaign date till the end of the year! Please do chip in with whatever amount you can donate! 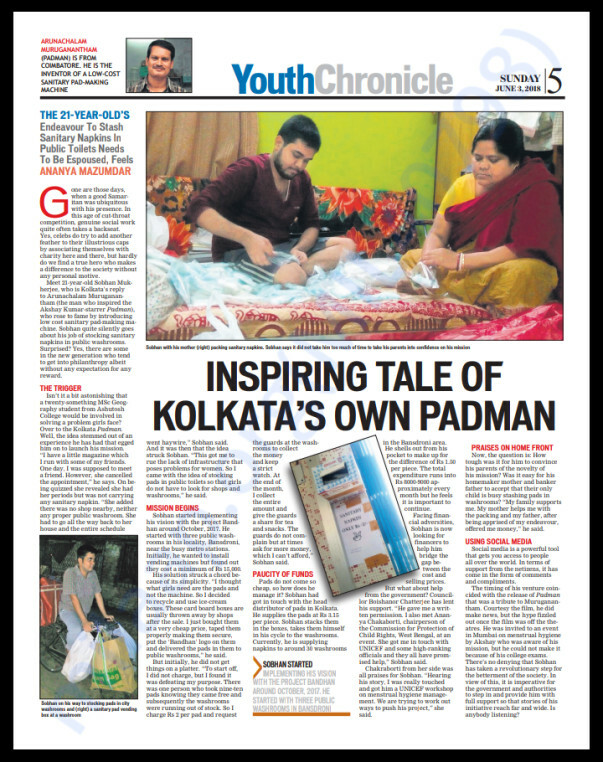 Sobhan gets featured on The Times of India! Please continue sharing the campaign. Great work! My little contribution to help you move ahead!! I am also feeling proud to contributing such a wonderful initiative. Thanks shovan ...you are real hero. Thank you shovan for your wonderful initiative, this small small contribution can upgrade view of our society, my best wishes always with you.